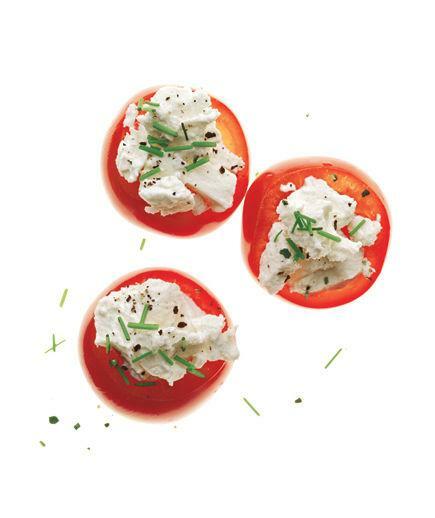 Mix together 1 tablespoon low-fat sour cream and 1 teaspoon prepared horseradish. 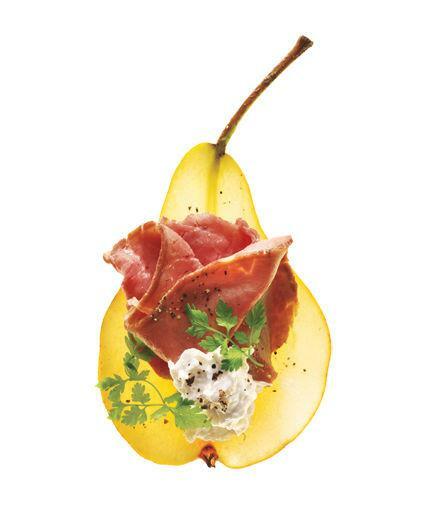 Dividing evenly, top ½ sliced pear with 3 slices deli roast beef, the horseradish cream, and fresh herbs (such as chervil, parsley, or tarragon). Mix together 2 tablespoons plain low-fat Greek yogurt and ⅛ to ¼ teaspoon curry powder. 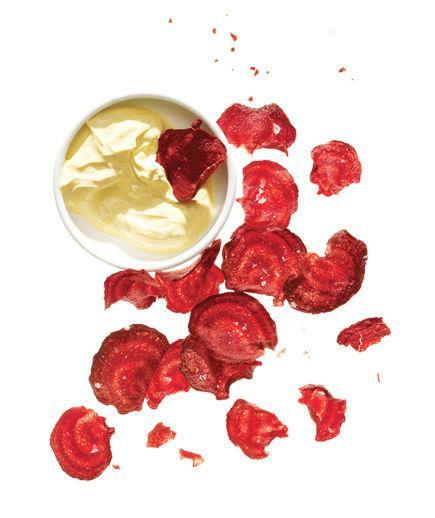 Serve with 1 cup beet chips. 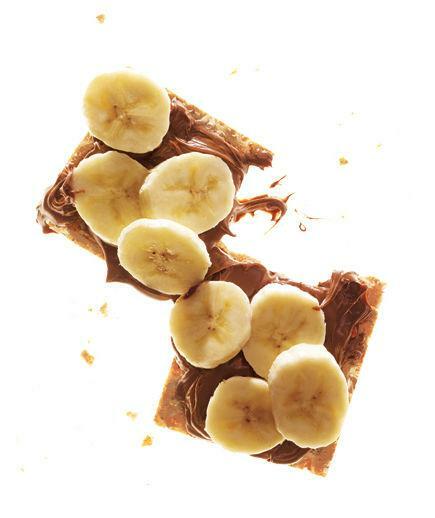 Dividing evenly, spread 2 crisp bread crackers with 1 tablespoon chocolate-hazelnut spread. Top with 1 sliced small banana. Dividing evenly, wrap 6 jicama or celery sticks with 3 slices ham. Serve with 1 teaspoon whole-grain mustard for dipping. 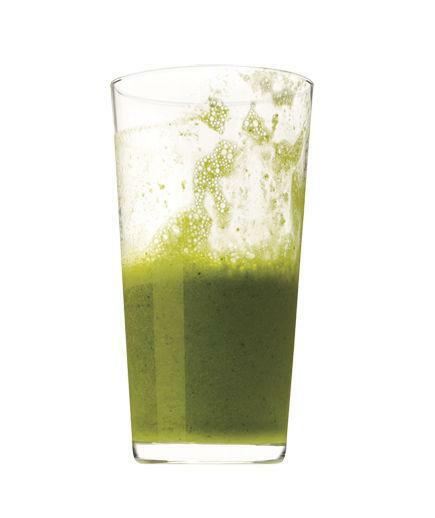 Mash ½ cup frozen peas with 1 tablespoon chopped fresh mint and 2 teaspoons fresh lime juice. 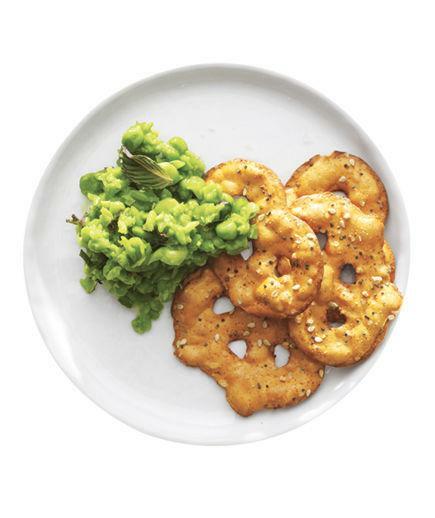 Serve with 15 pretzel chips. 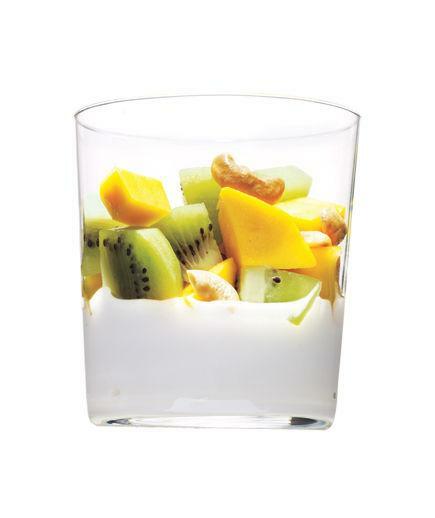 Top ½ cup plain low-fat Greek yogurt with 1 cut-up kiwi and ¼ cup cut-up mango. Sprinkle with 1 tablespoon chopped unsalted roasted cashews. 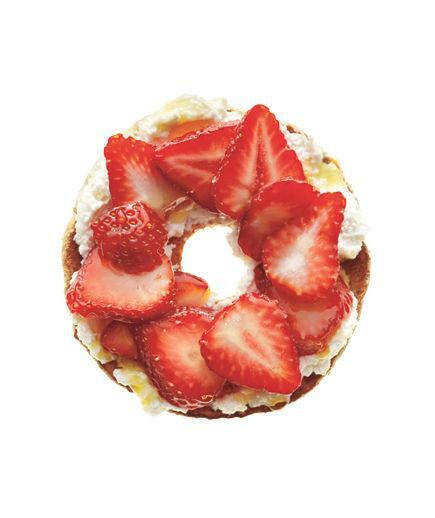 Spread ½ toasted whole-grain “flat” bagel with 2 tablespoons fresh ricotta. Top with ⅓ cup sliced strawberries. Drizzle with 1 teaspoon honey or agave nectar. Mash ⅓ chopped avocado with 2 teaspoons fresh lemon juice and a pinch of kosher salt. 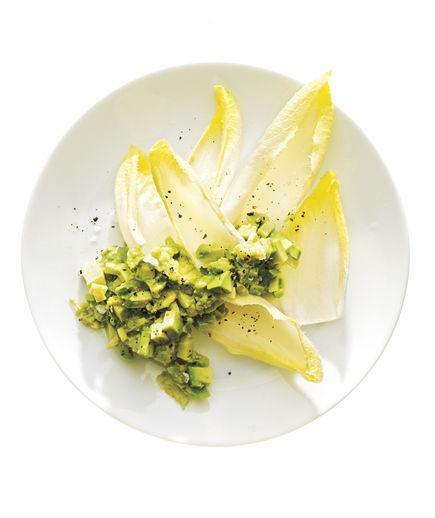 Serve with endive leaves. 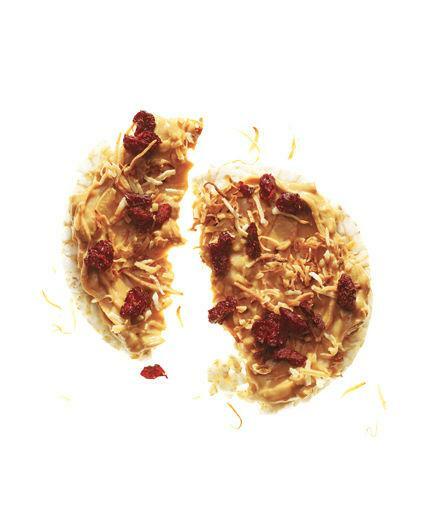 Spread 1 rice cake with 1 tablespoon creamy peanut butter. Sprinkle with 2 teaspoons toasted unsweetened shredded coconut and 2 teaspoons dried cherries. Dividing evenly, top 5 halved large cherry tomatoes with 2 tablespoons fresh goat cheese. Sprinkle with 2 teaspoons chopped herbs (such as chives, basil, or parsley). 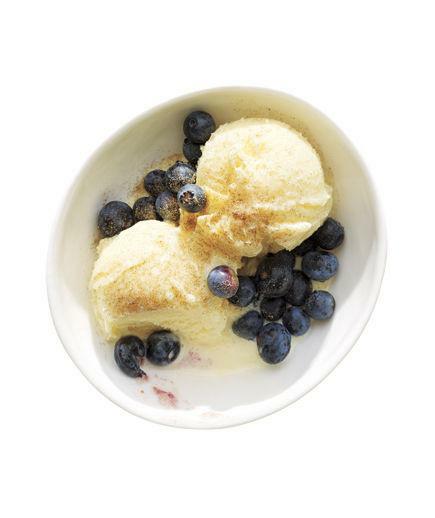 Top ½ cup vanilla frozen yogurt with ½ cup blueberries and a pinch of cardamom. 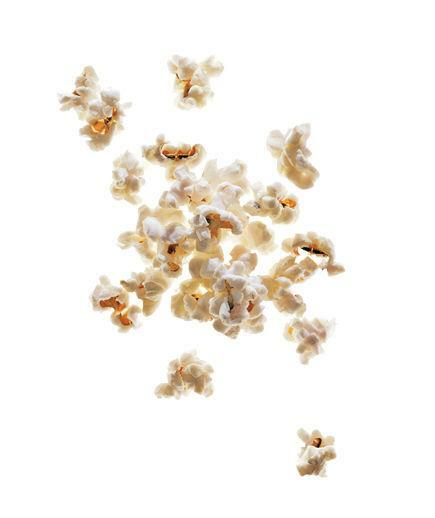 Toss 4 cups popped popcorn with ½ teaspoon toasted sesame oil and ½ teaspoon sesame seeds. Dividing evenly, top 3 celery sticks with 3 tablespoons hummus and 3 sliced kalamata olives. Cook 14 frozen sweet potato fries according to the package directions. 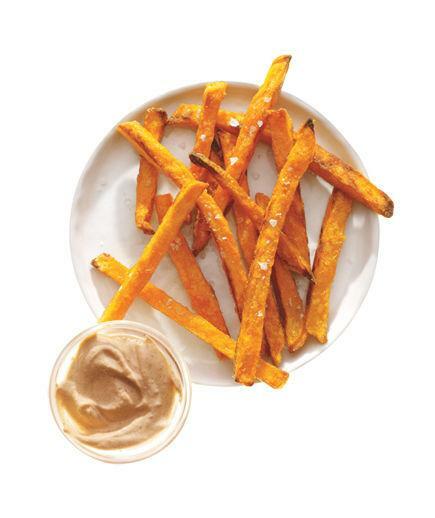 Mix together 2 tablespoons plain low-fat yogurt and ½ teaspoon chipotles in adobo sauce and serve for dipping. 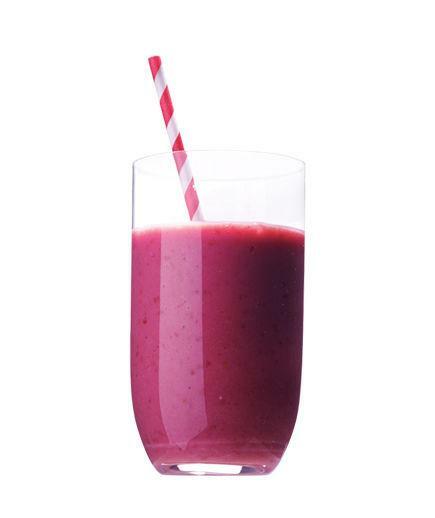 In a blender, puree ½ cup coconut water, ½ cup frozen mango, ½ cup frozen raspberries, 2 ounces tofu, and 1 teaspoon agave nectar until smooth. Spread 2 teaspoons almond butter on 1 slice toasted whole-grain bread. 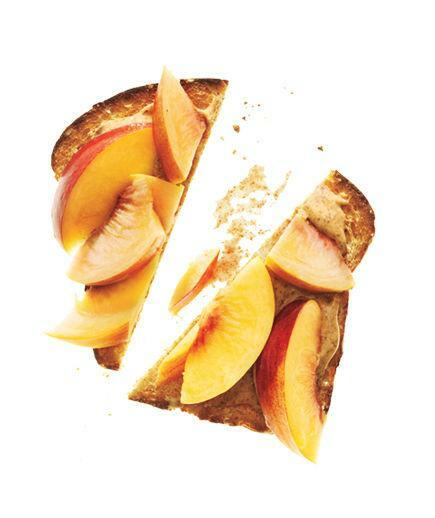 Top with ½ sliced peach. 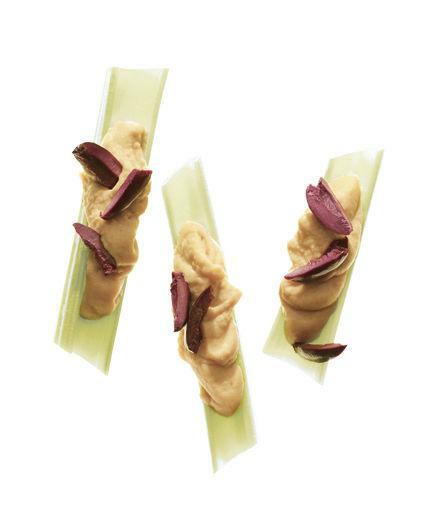 What’s your go-to healthy snack? Share it with us in the comments below!